Yesterday's nail polish choice was due to the sunny weather. I wanted a summery colour that would shine in the sun! and what a 'fantastical' polish it is! 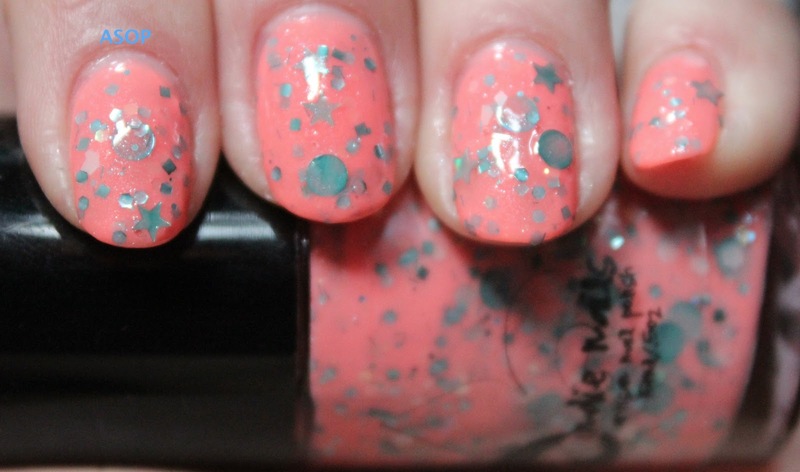 ;) Although there's a lot going on on each nail alone, it's quite pretty and there is so much different pretty glitter! 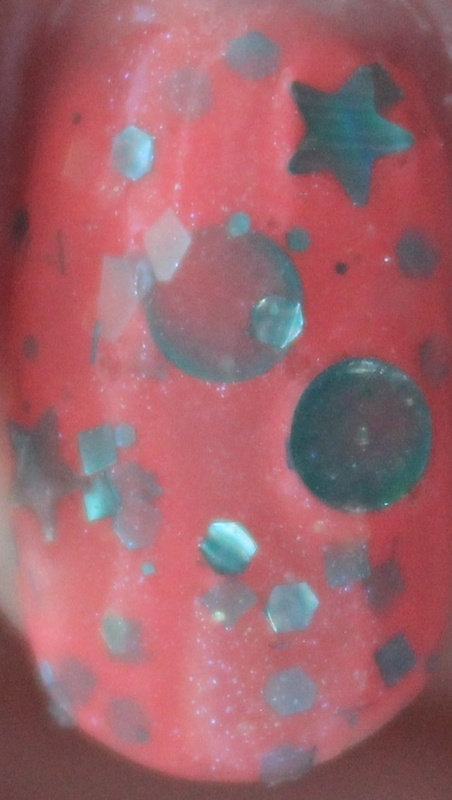 I'm not sure if it really suits my yellowish colour though :P.
Below are some pictures of Jindie Nails 'Fantastical' that I got from Llarowe for $10 + postage; it is a corally pinky orange colour with turquoise-y aqua coloured glitter and topped off with a lovely blueish shimmer. The glitter mix includes white and aquaish stars, aqua circles, little round turquoisey circles and aqua, white and gold hexes, little aqua squares and tiny thin aqua strands.